I took this picture a few months back. I decided to do a walk I had not done for about 15 years - one that takes about seven hours! This was taken in Cremorne Reserve, a footpath that curves around Mosman Bay. 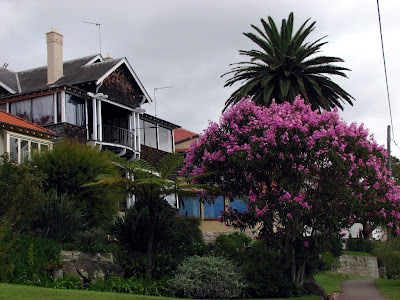 It was a gloomy day but I was struck by the beauty of the house and the bush, set against such a drab sky.